As early as month of September 2012, The Commission on Elections (Comelec) released the official guidelines on filing of certificates of candidacies (COC) for MAY 2013 Elections. Comelec Commissioner Rene Sarmiento strictly said, "there will be no extension for filing of certificates of candidacies." But Sarmiento clarified that "extension is only possible based 'on justifiable grounds'." 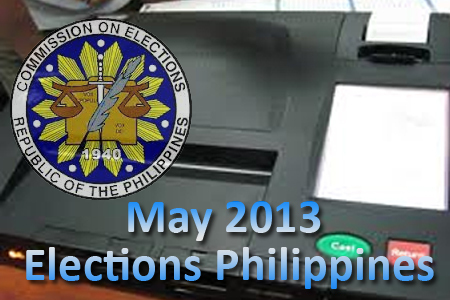 The Commission of Elections (Comelec) will release the complete candidates final list on October 6, 2012. Comelec cited the guidelines under Resolution No. 9518, "appointed officials who will aspire for elective positions will be considered resigned from the posts at the start of the filing of COCs." Meanwhile, Comelec also said that "a candidate backing out from the polls must submit a statement of withdrawal under oath in five copies." Comments or suggestions about "Comelec Guidelines on filing of COC for MAY 2013 Election" is important to us, you may share it by using the comment box below.